Physician-writer Swenson provides a prescription against the danger of overloaded lives. 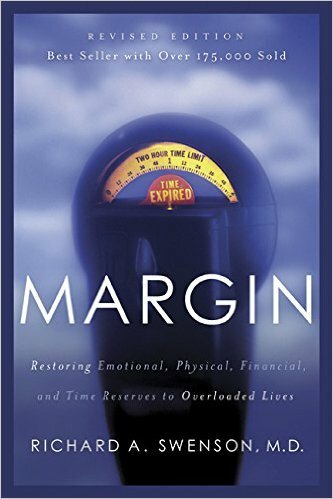 Focusing on margin in four key areas – emotional energy, physical energy, time, and finances – he offers an overall picture pf health that employs contentment, simplicity, balance, and rest. From the publisher.